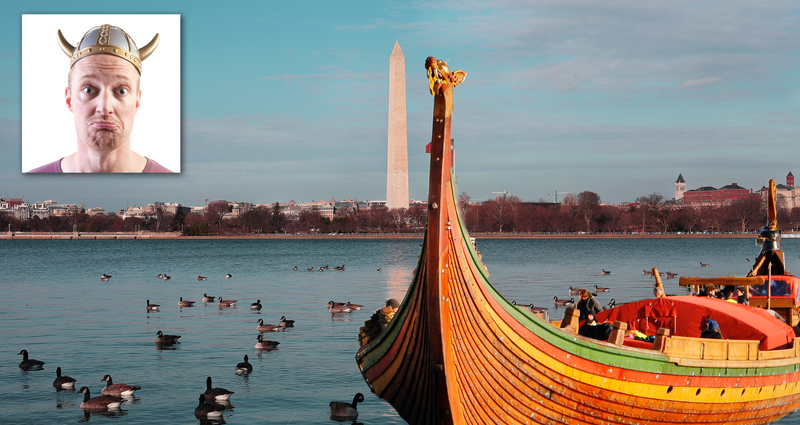 WASHINGTON — The largest Viking ship in the world, Norway’s Draken Harald Hårfagre, arrived in the nation’s capital today to begin its long-awaited ten-day visit, including several days of sightseeing, one wild night of pillaging, and a job fair to recruit a new cohort of unpaid student interns. Fliers began circulating around local universities early last week. When the ship finally arrived, it was greeted by throngs of unemployed students with resumes in hand, ready to work for absolutely nothing. The unpaid interns will be tasked with rowing the 115-foot vessel, cleaning the deck of blood and detritus from fallen enemies, and of course bellowing out catchy Viking songs during the long journey ahead. “I’m hoping the long hours in the sun will also help treat my crippling vitamin D deficiency from working inside a cold, stale federal office building for hours on end,” he added. Positions are expected to last for one semester or until the intern dies of exposure. Funeral pyres and/or burials at sea will be offered at the intern’s expense. Yeah, we know this is great stuff. We also know our online store is great stuff.